The scent and beauty of this bouquet will delight the senses of any lucky recipient. 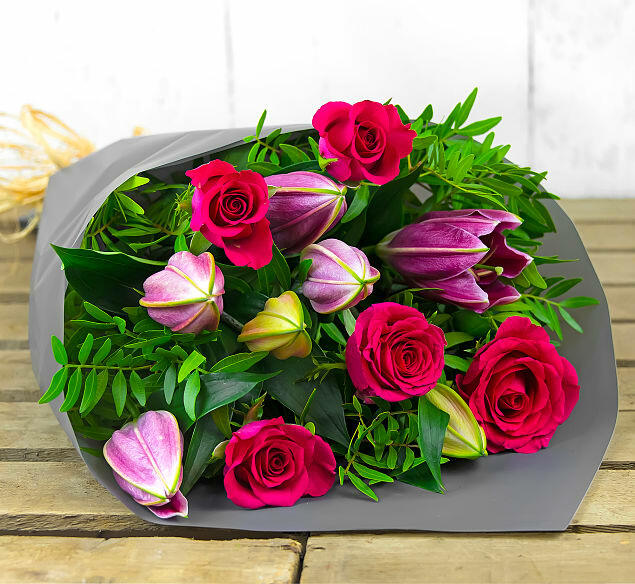 These Stargazer Lilies, Memory Roses, and Pistacia contrast beautifully in terms of colour and texture for a stunningly balanced bouquet. 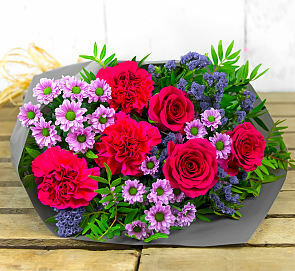 A lovely and thoughtful gift for any occasion, send these flowers and show somebody special that you care!